What’s this got to do with accessibility, you ask? More than you might expect! You may already be familiar with the fact that Apple and Android both support accessibility features like screen-readers and text-to-speech functions that enable those who are low-vision, no-vision, and/or hard-of-hearing to more easily use their devices. These personal devices and features are indispensable to those who rely on them everyday. So, why not ensure all facets of your membership program leverage these powerful accessibility tools? With the traditional membership process that relies on snail mail and physical cards, once a visitor has become a member of an organization, they wait a couple of weeks to receive their membership card in the mail. For members who are low-vision or no-vision, it’s imperative that the membership card and the envelope it’s mailed in are printed in raised characters (braille) or display no less than 14-point font, but this is rarely the case. With a digital approach, your members who are low-vision or no-vision will rejoice, as the process is accessible from the start! The membership card is emailed to them, and thanks to the screen-reader and text-to-speech functions enabled on your member’s phone, the information in the email is opened and communicated to them. Traditionally, your members would need to remember to bring their physical card before making a trip to your institution. For members who are low-vision or no-vision, hopefully the membership card is printed in raised characters (braille) or display no less than 14-point font, just like the envelope it came in. But sadly, most membership cards are not. With a digital membership card, the member’s smartphone screen-reader is able to guide them to their digital wallet where their membership card lives conveniently next to the rest of their digital cards and passes. Better yet, their membership card will automatically pop-up once they arrive on-site based on some nifty location-based support! And for added ease, using the phone’s virtual assistant, like Siri or Google Assistant, members can pull up their digital wallet with a simple verbal request: “Siri, open my digital wallet” and voilà, they’re ready to go! With a digital card, every member has all their membership benefits at their fingertips and can easily access them through their device to take full advantage of everything your organization offers. When it comes time to renew their membership, their phone alerts them with a screen-reader-friendly renewal notification and guides them to easily renew their membership. Once the member is on-site and ready to explore, they can receive messages based on their location, like, “Come back next month for our special exhibit on July 9th!” or “Enjoy 10% off a coffee at the cafe.” Best of all, these messages can be read to members using their phone’s screen-reader. 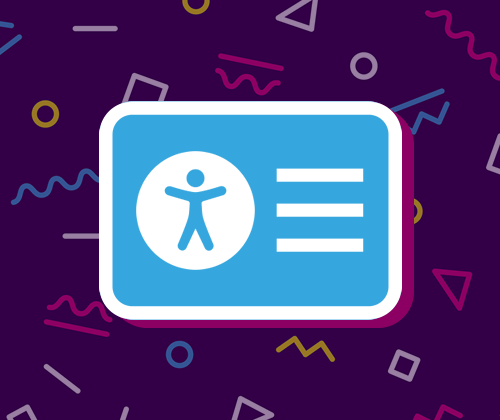 With today’s growing focus on accessibility and compliance, digital membership is an easy step to take that will yield quick benefits for all of your members. Interested in learning more about how digital tools can enhance the accessibility of your organization? Connect with a Cuseum expert today!